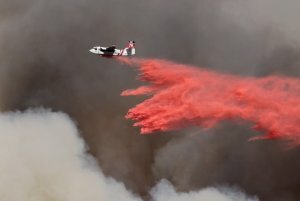 Note: This article was first written in response to the earthquake in Japan but is relevant for any disaster, including the fires recently raging in Colorado. I will never forget my terror on October 17, 1989, when the 6.9 Loma Prieta earthquake struck near our home at 5:04 pm. I still get teary thinking of the terrible trip with my husband as we crossed our demolished downtown to get to our two children. Once we had our kids safely in our arms, we simply didn’t care that our home might be gone. All that mattered at that moment was that our family was safe. My heart aches with empathy for everyone whose lives are devastated by disasters. At the same time, watching the news over and over, feeling upset, and worrying about the bad things that might happen does not make anyone safer -it just makes us and our children more anxious. Instead, especially when things go wrong, we need to take charge of what each of us can do to keep our children and ourselves emotionally and physically safe. Here are some ideas about what to do before, during, and after a disaster. Make a plan about what to do in the moment for different kinds of emergencies so that you can act quickly – know how to get out of your car, home, place of work and know how to get shelter in the different places you might find yourself. Make a plan for how to communicate with your loved ones. Have supplies of clean water, food, medicine, flashlight and batteries, money, propane stove, tent, fire extinguishers, and other necessities at work, at school, at home, and even in your car. Have copies of important information, photos, computer data, and other valuables in a place away from your home. Invest in a few hours of first aid and self-defense training for each person in your family at as young an age as possible, because you and your loved ones might need to survive without police, fire departments, or other official help for at least a few days. When things change in your life (you move, go to a new school, change jobs etc. ), take a little time to update your safety plan. The Red Cross is a useful resource for first aid training for different ages. 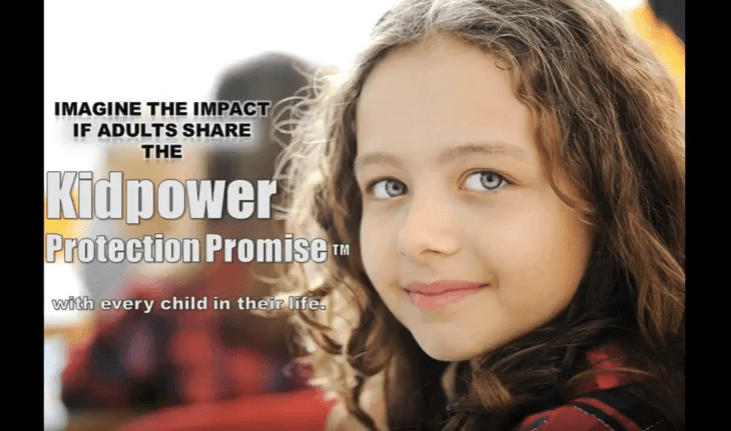 Kidpower can provide age-appropriate self-defense training for children, teens, and adults as well as give you information about how to choose a good program for your family. Making this commitment is a wise investment because both first aid and self-defense training can save lives for many kinds of emergencies, not just disasters. Remember that we are all most likely to do what we’ve practiced or at least vividly imagined. After our earthquake, I made my children go into each room of our home and show me what they would do if another quake happened. In one room, they crouched under a glass table – and we could see that this was not the safest choice and decide on another spot. We also took a hike to the park near the epicenter. The ranger pointed out how, even in the forest, crouching right next to a fallen log could give you shelter from other trees falling down. Think through how you would handle different kinds of emergencies – and then figure out a good plan for each of your children. Review your disaster safety plan regularly and practice it in a calm, matter-of-fact way, just like other safety skills. One fun way to field-test your emergency supplies and skills is by using tents, food, and cooking supplies on a camping trip in your backyard or a nearby campground, pretending that this is all you have access to. This kind of practice gets everyone familiar with the ins and outs of their gear, and also reminds us to replace any items with shelf lives — food, water, batteries, meds, etc. Double-check all your rations for allergies for different family members and make sure that medications are up-to-date. You can even imagine having “pretend” injuries to get used to using your first aid kits and your gear. If your hand is injured, can you run the stove, set up the tent, etc? Brainstorm different ways to deal with different kinds of problems. You aren’t going to answer every “what-if” problem this way, but it gets people in the habit of thinking in a way that promotes adapting to what’s at hand. That way, should an emergency happen for real, it’s a little more manageable. Make these times fun by creating special morale-boosting games, songs, poems, or traditions in your practice-run camping adventures. Be sure that your disaster plan includes what your child should do in an emergency if he or she is separated from you. Communicate with any adults who are caring for your children so that you are confident they are on the same page with you. 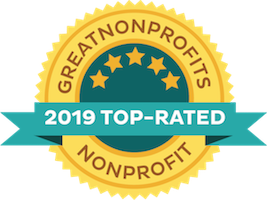 Focus on what to do to help everyone stay safe in most kinds of emergencies rather than obsessing about possible worst-case impossible scenarios. Our children are safest if their adults know where they are, whom they are with, and what they are doing. Their job is to Check First with their adults before changing this plan. In a disaster, children need to know that if they are having the kind of emergency where they cannot Check First with their adults, then their safety plan is to go and Get Help, even if that help is from a stranger. When they are old enough to understand, use specific examples relevant to their lives to help children learn to assess whether they are the ones having an emergency or someone else is. If children are separated from their adults in a disaster or they are lost and can’t find their grownups, their safety plan is to Get Help. However, if the emergency is happening to someone else (i.e. an adult asks them for help to find their lost child), then their safety plan is to move away and Check First with their own adults. With the media covering every disaster in graphic detail, it is hard not to focus on all of the bad things that are happening rather than the positive ones. If you find yourself worrying about all the bad things that could happen, turn off the news on your television, cell phone, computer, and other devices. Use your energy and time to turn your anxiety into positive action by preparing and by doing something concrete to help, even if all you can do is send a couple of dollars. Remember that, even in major disasters, except in very specific places, most people end up being okay. As horrifying as these tragedies are, disasters are statistically rare, and simple preparations can help keep us safe most of the time. Encourage children to stay safe in their imaginations too. As much as possible, protect kids and yourself from too much exposure to the news. Encourage your children to talk about what they might be worrying about, listen to them, and then help them to focus on all the things they can do to prevent problems, take charge during most emergencies, and help others in need. Tell worried children that, even though the news shows terrible things happening all the time, most people in the world are safe and not experiencing disasters or tragedy. Terror, overwhelm, desperation, and fear are normal feelings when a disaster strikes. But letting these feelings take over will get in the way of your making the safest choices. Also, children will be emotionally safer if they see their grownups being in charge. Remember that you can feel one way and decide to act another. Take a breath, look around, assess the situation, and decide what to do. Your most important job is to get your children, yourself, and, if possible, other people with you away from danger and to safety. This might mean sheltering in place or it might mean moving to a safer place. Follow your Safety Plan, but be prepared to make changes if needed. Focus on taking care of what needs to happen right now. Don’t worry about tomorrow or the next week. Instead, figure out what you need to do to keep yourself and your family as safe as possible. When a place, even your beloved home, becomes dangerous, your job is to leave and get to safety. Too many lives have been unnecessarily lost because people were unwilling to get out of their houses quickly or to let go of their property. Too often, people have died because they went back to get just one more thing. Nothing is more important than the lives of the people you love – and your own life. Don’t waste time trying to gather papers, photos, money, computers, etc. If you can grab something easily and it doesn’t slow you down, take it with you. If not, leave it behind. Be prepared to take charge of mobilizing the people around you to work together for relief and rescue efforts. Remember that many people might be shocked and not thinking clearly. Give simple clear directions in a loud voice. When necessary, be prepared to advocate powerfully, persistently, and respectfully for the needs of your family and yourself. Demand answers and, if you are not sure, err on the side of safety – get as far away as you can from likely danger. Ask for help from others. 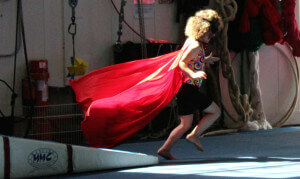 Remember Kidpower’s basic principle that safety is more important than anyone’s embarrassment, inconvenience, or offense. The negative impact on children will be greatly magnified if the adults around them sound desperate and as if things are out of control. Teachers, parents, and other caring adults need to be aware of what kids overhear as well as what they are told directly. If adults feel too overwhelmed, they can and should find support in settings away from their children. When children are around, adults can do their best to stay centered. Focus on reassurance and what is going to happen next rather than going over the details again and again about the upsetting things that have happened. Listen when children talk, even if they say the same things over and over. Give hopeful answers to worried questions. If someone important in your life has died and this is a child’s first experience with death, be prepared to explain what death is. Remember that grieving is a process that can involve many feelings over a long time. Do something positive to honor the memory of the person who has died –write a letter to the person, draw a picture, plant a flower, or help someone else. Sometimes adults mourn so intensely about a loss that they overwhelm children who want desperately for life to seem normal again. 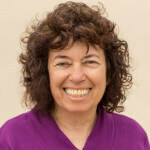 Instead, adults need to let children know that the person who has died or been hurt would want them to be happy, to laugh, to have fun, and to live a good life. Sometimes adults want so badly for children to feel better that they do not give them permission to mourn. Pressure to pretend to feel a certain way can become especially intense around family celebrations or events. If a child doesn’t want to go on business as usual, with a birthday party for example, then find other ways to allow the child to honor the event while supporting her or his feelings. Accepting children’s feelings means letting them know that it is okay to feel sad when they are sad, angry when they are angry, and happy when they are happy. Do things with children that let them make positive choices, even with seemingly unrelated things as simple as deciding on a guessing game to play. Therapists often recommend Kidpower after a tragedy because our program gives children the chance to practice taking charge of their personal safety in ways that help them regain their sense of being able to be powerful. Children and youth might regress into behavior they had when they were younger, such as bedwetting or being clingy. They might internalize their anxiety and become depressed and feel hopeless or externalize their anxiety and become aggressive and lose their tempers easily. Be supportive and patient. If young people are aggressive, help them control their behavior without shaming them. Get professional help if children seem stuck in some destructive behavior and unable to get out of it with your support alone. The stress caused by a disaster can increase the risks for adults of losing control of their tempers. Minor irritations can lead to major explosions. Realize that young people might be hypersensitive to angry, upset behavior from their parents and other adult family members. Remember that children and teens are learning more from what you do than from what you tell them. Show how to stay calm and respectful even when other people are being insulting. Use positive communication skills to work out disagreements. Get help with problems. Walk away from trouble. Make sure that any anger looks in-control rather than out-of-control. If you have big problems with other people, get help so that you can learn to manage conflict positively. None of us want to have to deal with a disaster, but a great deal of learning can happen during hard times. Showing young people that we stay determined to make the best of a bad problem can create lessons for them that will help them for the rest of their lives. In his book The Survivor’s Club, author Ben Sherwood interviews survivors of different kinds of disasters and other emergencies. Some situations are impossible to survive, but most of the time we can come out alive and go on to have a good life. The ability to survive and thrive involves mindsets and traits that can be learned and practiced, starting with our strengths and building from there. Learning new skills, facing change with resilience, working towards improvements that can prevent future problems, and reaching out to help others can be healing and replace despair with meaning. 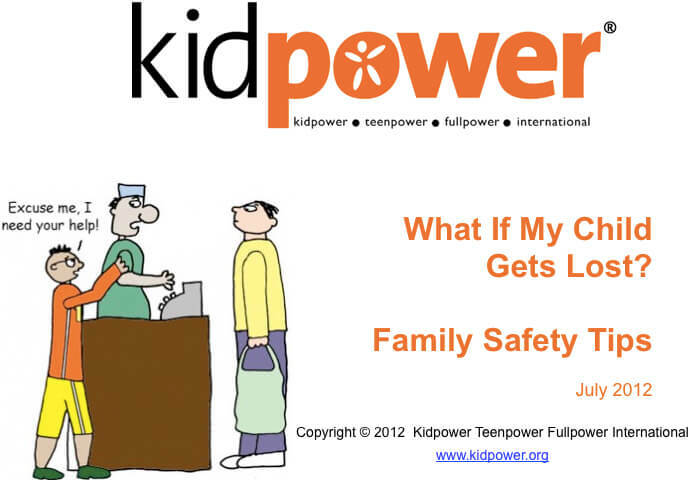 Kidpower is short for Kidpower Teenpower Fullpower International, a non-profit leader in “People Safety” education and training for people of all ages. 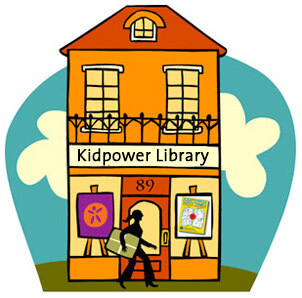 Visit Kidpower.org for free Library resources, affordable publications, in-person workshops, and consultation.